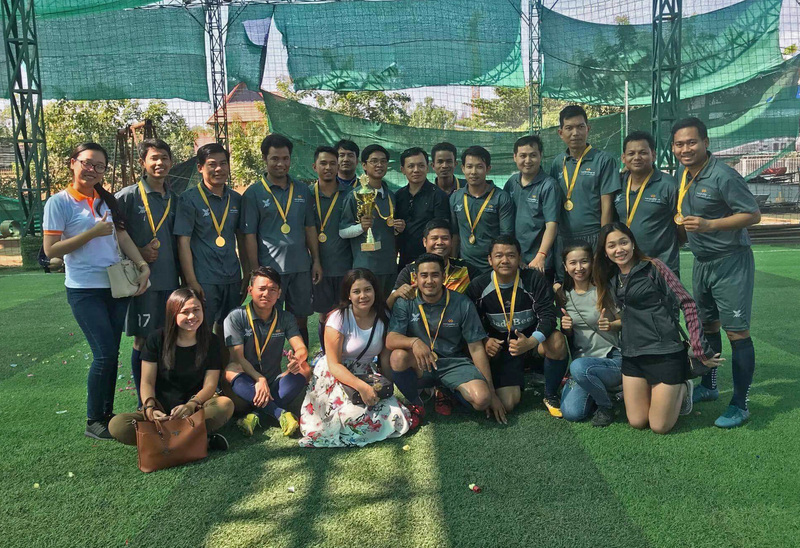 On December 10, 2017, Cambodia Post Bank PLC held the final football match for the year 2017 between team Head Office and Team Pailin Branch, BVT and KTE branch, which was presided by Mr. Toch Chaochek, Chief Executive Officer and Senior Managements of Cambodia Post Bank PLC. As the final result,​ Head Office team is a 1st Winner, PLN branch is 2nd Winner, KTE is a 3rd Winner, and the last one is BVT Branch (number 4th). After the match, Mr. Toch Chaochek, Chief Executive Officer of Cambodia Post Bank PLC, has given a champion cup and medals to the Winners team at the same time taking photos with all for a great remembrance for the Bank’s event.